If you're struggling to find that perfect property, why not build it yourself? We have a number of plots for sale up and down France. However, there are a few things you should know before venturing into this. There is a myth that custom-built houses are expensive and that using an architect will set you back a great deal of money. Bear in mind that the role of your architect is to design a house that meets both your needs and your budget. And your architect will have many contacts which can be used to ensure that costs are kept down. Architects usually charge a fee based on the size of the project - commonly about 8 to 12% of the final cost. Usually the contract includes a clause stating that his/her fees will be lowered if the final cost exceeds the original estimation. You, and ideally, your architect will have to do some research on the plot of land you have bought or intend to buy. It is advisable to get an architect on board before you make your purchase in case the design of dream house is completely incompatible with the plot you intend to build it on. If possible, try to gauge local opinion about your design proposals. You may find that the authorities will force you to make your design more conservative if it is not in line with local styles. Your architect will be able to advise you as to what is and is not likely to be accepted by the authorities. It is both cheaper and less time consuming to submit a design that has a good chance of being accepted first time rather than having to go, literally, back to the drawing board. If the land you're buying has other vacant land around it you are strongly advised to find out what the plans are for this land otherwise you might find that your coveted view soon disappears to be replaced by one of bricks and mortar. Plus, you never know what your future neighbours' tastes might be - an avant-garde construction next door (if it gets past the planners of course…) could ruin your conservative rural idyll. Before purchasing your land, make it your business to find out how well connected it is to the utility services. For example, is it connected to the power grid? If not then you'll have to contact Electricité de France to ask them if they can extend the supply and at whose expense. Unless you want a huge mobile bill, you'll also want to consider telephone lines. Another thing you are definitely going to need is running water. If the water board is unwilling to extend the pipes you may have to foot the bill for the work instead. Finally, you need to establish whether the plot is connected to the town's sewage system? If the answer is no then fortunately, this problem could be overcome by the use of a septic tank. Land that already has planning permission certainly comes at a premium and if you buy land without planning permission, it soon becomes clear why. The process of obtaining planning permission is a long-winded one - so the higher cost of land with planning permission is considered a wise investment. However, check exactly what the planning permission covers - don't pay extra for land with permission to build a barn when you are want to build a luxury villa. You should also find out what rights other people have over your land. Don't let the legalities catch you out at a later date. A local farmer may be able to graze his sheep on your land or rambler may have the right to cross your land. Another point worth noting is that French law states that all properties are allowed access to the main road by the nearest possible means. Therefore, if your neighbour's shortest route to the main road is via the track/drive past your property they have every right to use it even if there is a longer alternative route that doesn't involve them passing your property. Despite the obstacles, finding land and building your own property can be one of the most rewarding and affordable ways to fulfil your dream of owning a property in France. Land for building on is available throughout France but is more readily available - and of course, cheaper - in some of the less densely populated areas such as Limousin or Auvergne. I would be grateful if you would give me some advice regarding the use of some land bought in France. On at least one plot of land in your directory it is stated that it would be suitable for a mobile home. What is the general law in France with regard to putting a mobile home on a plot of land that you own? Also what are the problems regarding the connection of sanitation, electric and telephone to a mobile home sited on the land you own? Is it generally a problem or are mobile homes accepted in France? Joanna Simm, who lives in the south of France, says that if you are planning to live in it full-time... and if there is no house on the land, things may be different, but usually the Maire would be the place to start asking whether this is ok or not. Places vary so much, there doesn't seem to be standard rule, except always ask the Maire first! She also says that for mobile homes that aren't being lived in full-time, or that are on land which also has a permanent house, friends have still said that it depends on the Maire of each place - if he's happy you can have one. A mobile home is a mobile home as long as it has wheels, even if it is more of a house! Her friends were told they can have any size mobile home on their land no problem, as long as they leave the wheels on. Other friends of Joanna's have three caravans at their home, no questions have been asked at all. She thinks as long as no one complains you are ok, but the trick is always keep the Maire happy! Hello - can you advise what is meant in the adverts by "CU" - is that planning permission?? Your advise is appreciated. Thank you. CU stands for "certificat d'urbanisme" which is a certificate granted to land owners who want to build new buildings on their land (so similar to outline planning permission). But this certificate doesn't entitle you to build anything, it just means that the land can be built on. 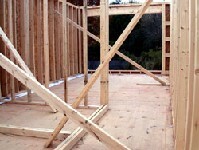 There are other permits you need as well before you can start building. I've just been on your web site and wondered if you could help with the following question. We have seen a place with land for sale and there are cattle on it at the moment, which the agent said would be removed if we bought the property. I was talking to a friend who lives in France and she says they have a right to leave the cattle there for nine years. Do you know anything about this? Many thanks. As far as we know, if the person who has the cattle has ever paid rent on the land, he/she has a right to it which is ongoing UNLESS he/she agrees to terminate it. This needs to be done with the NEW owner, and preferably through SAFER, the French equivalent of DEFRA. If he/she hasn't paid rent the picture is muddier, but our advice would be that the new owner needs to get the cattle owner to forgo his/her rights legally. Best of luck! We own a house in the Pyrénées-Orientales and a neighbour has just offered to sell us an adjoining plot of land, which is currently "non constructible", but could well become a building plot in five to ten years time. It would appear his asking price is below that of a building plot, but higher than agricultural land. Apart from checking the prices of similar land in the area and checking with the Mairie on the future likelihood of it becoming a building plot, I'm not sure what other criteria I need to take into account in working out whether the price is fair. Because of the time pressure, I would be grateful for any advice you might be able to give me to help me gather the information I need to make an informed decision in such a short time. I would be interested in buying the land, only to preserve my privacy, but am a little daunted about making such a quick decision. I would also be very grateful if you could give me any information on what other costs might be involved in land purchase. I remember the notaire's fees were quite high when we bought the house, so I want to try to estimate what other costs I might have to pay in addition to the land purchase cost before meeting the vendor. "All I can think of is what you have done... or are planning to do. Prices are very changeable from village to village, so although the Pyrénées-Orientales is close to me, I have no idea what the prices could be. Generally it is an expensive department... but specifics are very specific! The only thing I can advise is to ask around. Land that is really expected to become constructible will be more expensive, of course, but there are no guarantees that it will be built upon, though it is often sold on this expectation I know. I realise this is not very helpful really... as far as I can ascertain "you pays your money and makes your choice", as it were... and stand your own risk too! Certainly the Mairie is a place to begin... then other neighbours may have a clue, other people who have recently built in the area, local estate agents etc. The local precedent is a good rule of thumb though not totally reliable of course!" a) Tax (approximately 5% of the value of the land) which is made up of duty and communal tax. b) Notaire's conveyancing fees (these vary as to the cost of the land, but the fee is usually a maximum of 5% and minimum 0.825% of the land value). c) Notaire's commission (allow 5% - a higher commission is usually payable if going through an estate agent). d) Land registry (1% of value of land). e) Mortgage fees if taking out a French mortgage (allow up to 3%). However, the farmer has now asked us if he can continue to use the land for another year. While, we appreciate that we may not get round to dealing with this portion of the land for sometime, what with decorating the house and the land being so large (for us anyway), we really don't want to find ourselves in a legal predicament, or make an arrangement that is hard to get out of in the future. We also, would like to keep on good terms with our neighbours. If you have any advice or know of any past experiences that could help us in making a decision, we would be extremely grateful for it. Thanks for your email. Land issues between neighbours can often be a bit tricky, and it usually comes down to the individuals concerned and the situation. I would advise firstly trying to contact the notaire you initially dealt with, to ask his/her advice. Perhaps this agreement can be extended for a further year or a new agreement drawn up? And if not the original notaire, perhaps ask the advice from another notaire. It would also be worth asking around, talking to the local people who may know if the farmer is to be trusted. May be it would be worth fencing the section of land he doesn't use, which seems to be the larger part, so that at least here you have satisfied the notaire's agreement within the time limit. And finally, perhaps it may be worth talking to the Maire? In any event, I wish you luck and hope the situation can be easily resolved. We are considering buying property from friends in France (i.e. not using an agent). It is a tiny cottage in the grounds of a farmhouse in a rural area. We will be buying the land it stands on and some adjoining land. We may wish to extend the property. You mention that one obtains a Certificat d'Urbanisme with the purchase documents, but my question is whether there is any way we can discover whether we will be zoned to allow this extension BEFORE we buy. As it is a rural area I am a bit worried that it may be zoned "non constructible". Hope you can help or point us to somewhere that can help. Thanks for your email. I assume you have asked your friends about being able to build on the land? It's just that the regulations differ hugely from place to place, so there is no set rule. Certainly the Mairie is a place to begin, as quite often what the Maire says goes. Then other neighbours may have a clue, other people who have recently built in the area, local estate agents, the notaire who arranged the sale of the property to your friends etc. Might your friends be able to help with providing contact details for such people? I have seen a plot of land for sale that does not currently have planning permission except for a structure of 30m2. Whilst I know that people selling will tell you anything to get you to buy, the owner tells me that there are plans in the region to "re-zone" the land for building. We do not plan to move to France for at least another three to five years so are happy to buy something and wait to get the necessary permission to build. Is it worth the hassle of taking a chance on a reasonable priced plot with Mediterranean views and close proximity to Monte Carlo, or should we not touch it with a barge pole? How difficult can it be to try and get the necessary permission? Thanks for contacting us. I am afraid I am not really in a position to advise you on this, other than what has already been suggested (see above), that you perhaps contact the Mairie of the area, to see if this "re-zoning" is likely to happen. The Mairie is the place to go to first of all, as quite often what the Maire says goes. Then other neighbours may know something about it, if you are able to contact them, or other people who have recently built in the area, local estate agents or the notaire. If you are able to find out that the land will be re-zoned as you would like, then I would think that it might well be worth buying. Certainly land without planning permission is cheaper to buy, so the price would almost certainly go up if it was given planning permission after your purchase. I'm sorry I cannot be of more help, but hope this information has been of some use. Thank you very much for the range and depth of information provided in your site. My wife and I are looking at property in the lower part of the Chamonix valley, below Les Houches, 15 to 30 minutes outside the main ski areas. We are prepared to purchase land that does not have planning permission as long as it meets building requirements. We understand the issues regarding tying into utilities and as for sewage we would like to have our own septic system. We have been told that any home must have adequate water and provisions for the fire department to hook into though I haven't seen that in writing so perhaps you can offer further information on this matter as well. Also can you direct us to someone or a department to advise me on the building of a semi subterranean house? Without getting into too much detail we are interested in the use of the PAHS (Passive Annual Heat Storage) system - involving very specific design issues for bermed and/or excavated structures - and I wish to couple that with a barrel/arched structure - similar to the arches one often sees in the basements of old buildings throughout France based on the Roman Arch but without the rectilinear parts, more toward modern wine caves. This design involves a great deal of glazing and presumably does not fall into any specific architectural modes other than "eco" and "modern". We do understand that an architect can be very helpful in these matters but where possible we would like to work through many details before beforehand. Thanks in advance for any help you can offer! Or maybe they can direct you further. With regard to the connection of utilities (I assume you have read our article on this - http://www.frenchpropertylinks.com/essential/utilities.html ?) including the supply of water, I would suggest you contact the Mairie or Hotel de Ville (town hall) in the area you are looking at, for further detailed information on what the current regulations are. The Mairie usually knows all! Can anybody answer the question of how long a suspension to a compromis to vente lasts and can it be ongoing? This is in regards to a piece of commune land with a workshop next to our house which we have been trying to buy for several years. As far as we were concerned we are still in negotiation with the Maire. The land originally did not have CU and we had it valued at between 3,000 and 8,000 Euros, but the maire wanted over 28,000 Euros. Suddenly the land had CU and he wanted 33,000 Euros. He then offered to sell us half the land with the workshop (which is virtually in our garden) and I forwarded a letter accepting his offer at 15,000 Euros, but could he, before we signed the compromis, mark out exactly the measurements. We heard nothing despite letters, phone calls and visits to the mairie. In November he spoke to me stating he would be around to discuss the land but yet again nothing. In January of this year he arrived to say the land was being sold by an agent and that a couple had signed a compromis to buy it. Naturally we were angry, especially as he never came to give us one last chance to buy. He informed me to deal with the agent which I duly did. The agent kept asking why we had not offered to buy the land to which I repeatedly said we had and were waiting for the Maire to arrive with his tape measure before we signed! He informed us that the couple needed finance and that they wanted to change the barn into a bakery. The land is in the middle of the countryside and as stated, the workshop (it is not a barn) is virtually in our garden. We said we would buy the land at the asking price (the couple have made an offer) but he informed us there was nothing we could do until the compromis expired. We have visited a notaire who spoke to the agent and said the only thing we could do at the moment is to send a letter objecting to the change of use which I did immediately and again informed the agent of this. I have been in virtual daily contact with the agent to find out what the present position is. I have also kept a check on their website to see if their advertisement for the land was still there. Two weeks ago I found that the ad was no longer there so presumed the couple had the finance but trawled other sites only to find the land had been readvertised for sale that week through another site by the same agent. Naturally we were furious. I contacted the agent who then informed me that the couple had been given the suspension. I tried to find out from him how long this lasts but again no response. I have since written to the Maire stating that we are very upset to find that the land is being readvertised for sale, that the couple still have not got the finance and have been given a suspension, and that we can buy the land without finance immediately, but feel there is obviously some objection to us buying the land. I also informed the agent of this letter. My only response was from the agent yesterday that the suspension is still "live" but again no answer as to how long it is for. We can only think that the objection is that the couple will build a house on the land and thus more taxes will come in whereas we only want the land for a garden (it is 3,000 sq metres). We have been informed also that the land is really not suitable for building as it is always very boggy. Any help with this situation would be appreciated. Should there be anyone visiting this site and reading this who may be able to help, however, please do get in touch. We allow a farmer to graze his cattle on our land at no cost to him. Can he claim the land as his own after a number of years? Thanks for contacting us. I was under the impression that if the farmer who has the cattle had paid rent on your land, he/she would have a right to it which is ongoing unless he/she agrees to terminate it with you. I am unsure of the legalities if no rent has been paid, but would think that the farmer would have no rights. And finally, perhaps it may be worth talking to the Maire? They usually know the answers to most things. Hi, I have just been reading the points made on your website with regards to gaining planning permission in France. The reason for my e-mail is that my parents are looking at retiring to the Dordogne (Eymet) in the next 12-18 months and their plan is to buy a plot of land (approx 4-6 acres) and look at the options of developing a camp/caravan site and also a couple of gites. They plan to visit the area in May/June of this year to look at various plots of land and I am just wondering if there is anywhere/anyone that you could recommend them visit to gather information on buying/developing property in France and any planning permission restrictions etc. that they may come across. Thanks for contacting us. The internet is a mine of information these days, with most property being found this way. I'm afraid I do not know anyone personally in that area to recommend. I would certainly suggest that your parents visit the Mairie in Eymet though, to find out the rules and regulations that they will have to abide by, when setting up their business. The Mairie would also be able to advise on planning permission etc. We allowed a farmer to graze cattle on our land at no cost to him. We now want the land back but he is reluctant to move. Does he have any rights ? "I think he may indeed have rights, depending on how long the arrangement has been in place, am not 100% sure, but I have heard of this before. SAFER or the French agriculture department will know, but I have heard of people having problems getting farmers off their land." I hope between the suggestions offered above, you will be able to get the answers you need. If a neighborough cuts some of your field near his house, after ten years can he claim the land? Thanks for contacting us. I was under the impression that unless money has been exchanged for the cutting of your field or a legal agreement was in place giving your neighbour certain rights, he/she would not be able to claim the land. However, if a farmer is using it for cattle or other animals or farming it, this may be different, and they may have a claim (see answers to above questions). As I am no expert in these matters, I would suggest you contact your Mairie. The people there usually know the answers to most things. Hi - can anyone help me. I have been trying to buy common land at the back of my house in France to create a garden for the last three years. I employed an estate agent two years ago to help me with this as we don't speak any French. She managed to get all the property owners with property around the land to sign to say that they had no objections. The agent then sent a letter to be signed 2013 April to say we would pay for a survey and Notaire fees, after that we were asked for money to be transferred to pay for this which I did. About a month later we received the report with all the boundaries marked. I spoke to the agent six months later to be told that it would be finished in a few weeks. I waited but nothing, in February this year 2014, I received an email saying that the sale of the land was off due to one of the property owners who wants acess to a small door at the back of his property which is on the boundary of the land I was purchasing. I have paid about 1000 Euros so far, I can't understand how this can happen. Thanks for contacting us. This doesn't sound great. Have you tried to contact the estate agent to see if something can be worked out which accommodates this property owner's access? And I wonder what the Notaire's fees were for, as no land was sold? I assume you have tried to get these fees re-imbursed? Otherwise I can only suggest you contact your Mairie for further advice on what you can do, and also a legal advisor. We have a small patio in front of our house, facing the street. It has two walls, 40/50 years old and the front is bordered by two huge concrete planters and a gate. It has been used as a patio/courtyard from time immemorial and we have used as such for the past nine years. It is not on our plans but can we claim ownership of it or does it belong to the commune? The Mairie has not asked any questions about the walls or the gate. Please help, as we are in the process of selling our house and the buyers have posed the question. I notice that someone thinking of buying land has been advised to allow 5% for the Notaire. We own numerous properties in the Limousin and if you go into the Notaire's bureau there is a plaque on the wall outlining fees that he may charge. These can be much higher than 7% depending on property value, and this is a French legal requirement I understand. Plots of land can be bought (1/4 acre for as little as 300 Euros) with or without CU, and if you get on with your Notaire they will apply for the CU as a matter of course. If you overpay on the Notaires estimated bill you will get a refund... it's true. You then have a very valuable asset. This happened to us once and could have caused some embarrassment as Madame-le-Maire was the sister of the seller, but we still get on. Learn to speak French and if you want a good clarification of French requirements you can find everything you need to know about French law online, then go and deal with the local officials at the DDE (Le Architect de France's dept) who are far more helpful than some of our planning depts, but start at the Mairie/l' Hotel de Ville. There is the law of 1913 to be aware of (et monuments historique) which is now preventing the use of les grand trous noire (Velux style windows). This places strict controls on the exteriors of buildings and the "materiaux" that can be used. There are also local colour schemes and for this see Le grand guide Leroy Merlin (Catalogue) online. If you are new to France this will show you all you need to know and includes useful articles on fittings and tools, also the French NFC 15-100 (their equivalent of BS: 7671 17th ed.). Most French earths are TT and their radial ccts permit a regulated number of sockets etc. The KW of the supply comes in four flavours. The pictures explain it all in about three pages unlike the mighty tomb that the 16/17th Ed. of our regs does. Any problems with boundaries see the Geometre who for a fee will use the Cadastrale and records to place Pitons at the relevant points. To unlawfully remove these is an offence. Normally a dwelling of over 170m sq will require the use of a French architect. Soil load calculations are done by the local Bureau des Etudes and is expensive. There are also three different climatic zones and Seismic regulations to consider from one dept. to another plus the use of lightning conducters. The French are now taking note of RT 2000 so you will have to ensure that adequate insulation is included in a refurb etc. There is a TVA easement on work that is done on properties over two years old to 5%, the work to be done by French businesses. All properties must have public liability insurance. The rating system is different as there are rates on land area and habitation. The latter includes the TV Licence and for most rural dwellings is about 1/6 of the UK equivalent for both. And no they don't treat us like damn foreigners, but if your French is good you will be spoken to in German probably, as we Anglais have a terrible record for others' languages. Enjoy La Belle France and it's people as they are what makes it so good.